As discussed briefly in ADD Diet, there are a lot of seemingly wonderful headlines and marketing pitches that suggest there are simple, all-natural remedies for ADD symptoms. The sad but true headline is that many of these claims are hopeful at best, and a rip-off at worst. But here’s the good news: There are tons of things – NATURAL, NON-chemical, NON-pharmaceutical things – adults can practice to alleviate their ADD symptoms. For one, adhere to some simple diet guidelines as briefly described in ADD Diet, and in more detail in the Crusher™ Videos and Audio Companions. By simply avoiding some foods you can dramatically decrease your symptoms. 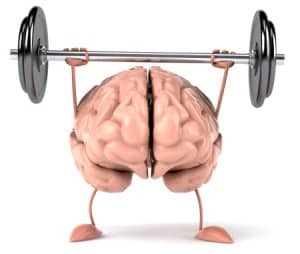 Physical Fitness: Exercise “creates a brain chemical that acts like Miracle-Gro® for the brain”, according to Dr. John Ratey, co-author of several important books on ADHD. And you don’t need anything more than the will to get your body moving in order to collect those benefits. What could be more natural than sleep? After all, it’s nature’s way of forcing us to rest our busy, busy minds (and bodies, of course). So the simple act of getting a little more and/or a little bit better sleep, is a huge ADD-crusher. Mindful Fitness: Your mind is YOURS to master, and you don’t need chemicals to move toward mental mastery. 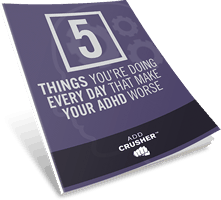 Throughout the Crusher™ curriculum, for instance, the emphasis is on changing the way you think, quieting your mind, and putting smart strategies and habits into practice. Bottom Line: This is not to say that medication isn’t a potentially powerful part of your ADD-crushing plan. Crusher doesn’t take sides in the meds vs. no meds debate. 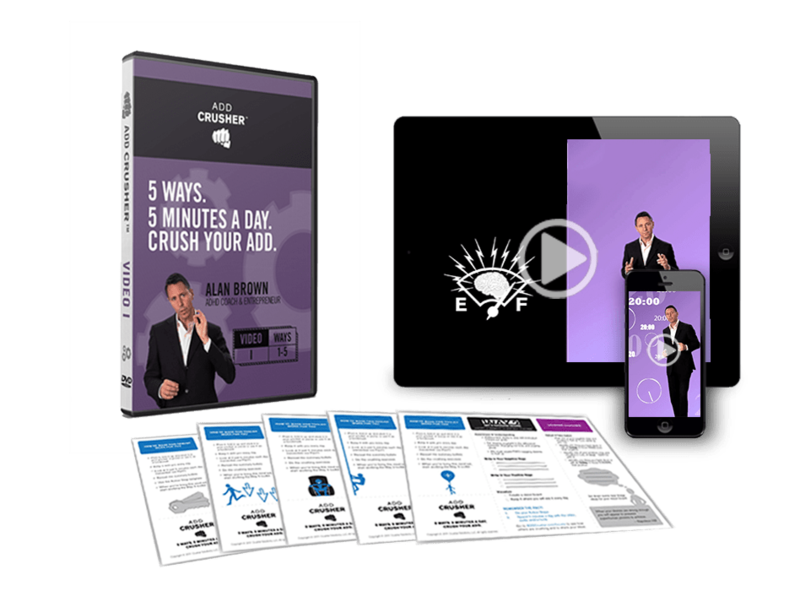 You should put every tool at your disposal to work for you in your battle to crush your adult ADD, including legitimate natural practices that, when you think about it, don’t cost much!